Love is in the air . . . plants! 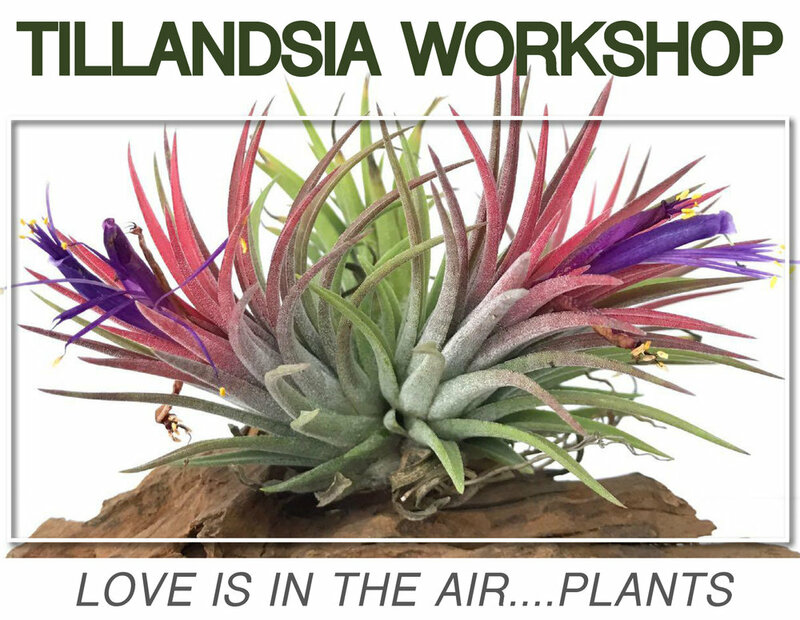 Just in time for Valentine’s Day, it’s a hands-on workshop that will teach you how to create and care for your very own amazing air plant composition. Bring your Valentine and make some air plant magic together, or come solo to make a fun surprise for your amore. 1. Register for the workshop. Your workshop fee gives you access to several types of glassware, embellishments, tools, and creative guidance by our talented staff. 2. Game day! On the day of the workshop we’ll have work tables set up in the Hot*House. You may drop in anytime between 10:30am and 4:00pm. Please check in at the cash register to let us know you’re here, and we’ll get you set up with all the supplies. You get your pick of embellishments such as moss, decorative rocks, stems, and other accessories. G*H staff and creative advisers will be on hand during the workshop to give you one-on-one guidance, provide creative inspiration, explain on-going maintenance techniques, and make sure that you go home with an air plant masterpiece to be proud of for years to come! Cost: The cost of the class is $25 for the general public and $20 for members of Homestead Atlanta (please bring proof of membership - accessible on "For Members" page - on the day of the class).